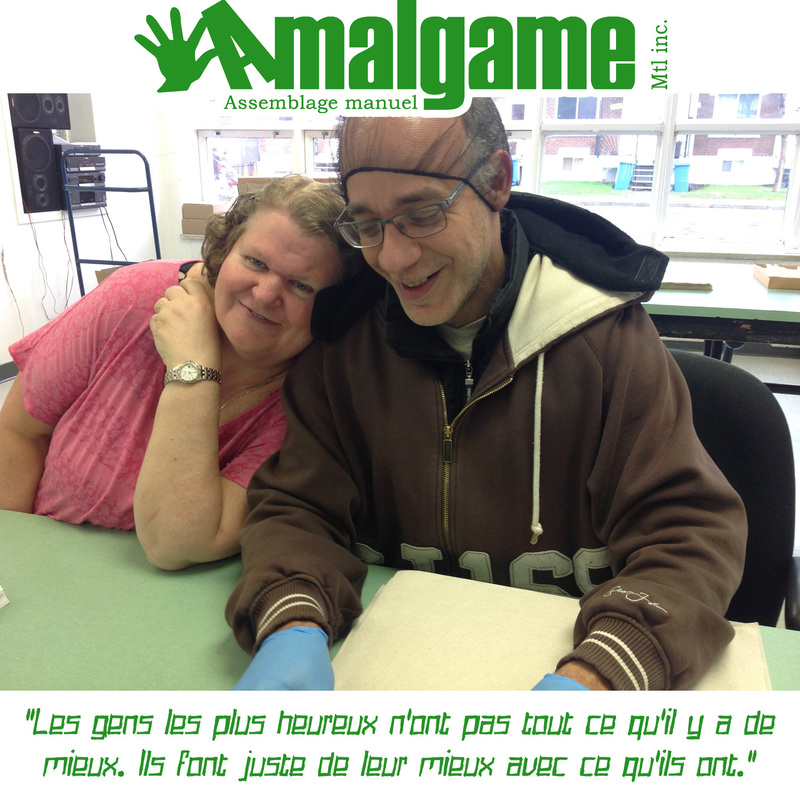 HISTORY – AMALGAME MONTREAL INC. In 1988, following the reorganization of the Constance-Lethbridge rehabilitation Centre, Health Canada’s Innovation Program funded the creation of three units (Main-Forte, Coude à coude and Amalgame) allowing 36 people with physical disabilities to enter an environment reproducing the labour world. This is how the units managed by their own participating members were created. Amalgame is an environment where everyone is responsible. Participants take care of maintenance, work planning, as well as acceptance of new members within the organization. Administration, representation and fundraising are managed by the executive team. However, the participating members hold a majority on the board of directors. This is why, from the initial designation of “self-managed unit”, we have moved to “participatory management organization”. • To participate in an activity which reproduces the labour world. • To integrate members on social and professional levels. • To offer tailor-made training, according to the needs of the team. • To give a rest to informal caregivers.